If you are planning on starting a garden this year, starting your plants from seeds can really cut the cost of gardening down. If you need containers to plant in, here’s how to make plant pots at home with items you already have on hand. 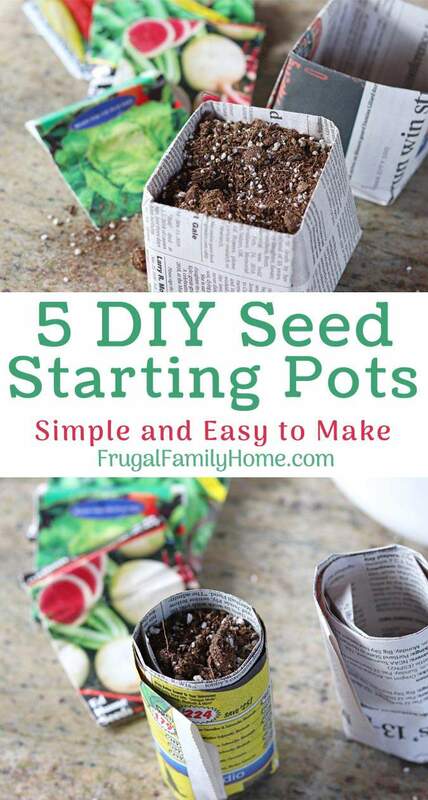 Starting seeds at home for your garden can be easy and save you money. Seeds cost a lot less than plants and you can find a wider variety of seeds too. So it’s easier to grow the varieties you want to. But you need something to plant them in, buying plastic pots can be expensive. Instead, try these easy ideas for how to make plant pots at home. You can make your own containers with items you already have. Or recycle items you have on hand into seed starting containers. 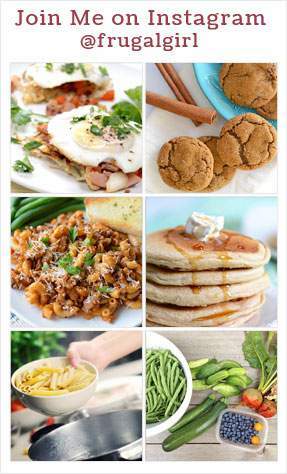 You have options for starting seeds at home. You don’t have to purchase plant pots to start your seeds, keep the cost of seed starting down by using one or more of these diy plant pot ideas below. Single serving yogurt containers make great pots for starting seedlings in. They are the perfect size for one seed and they hold up in the greenhouse or cold frame. The only drawback with this type of pot is no natural drainage. You need to punch a couple of holes in the bottom of the containers. This will ensure any extra water can drain out the bottom and your seeds won’t get waterlogged. The holes in the bottom also allow for the plants to soak up extra water from the container they are placed in too. I like to place mine in a tray and water the seedlings from the bottom. 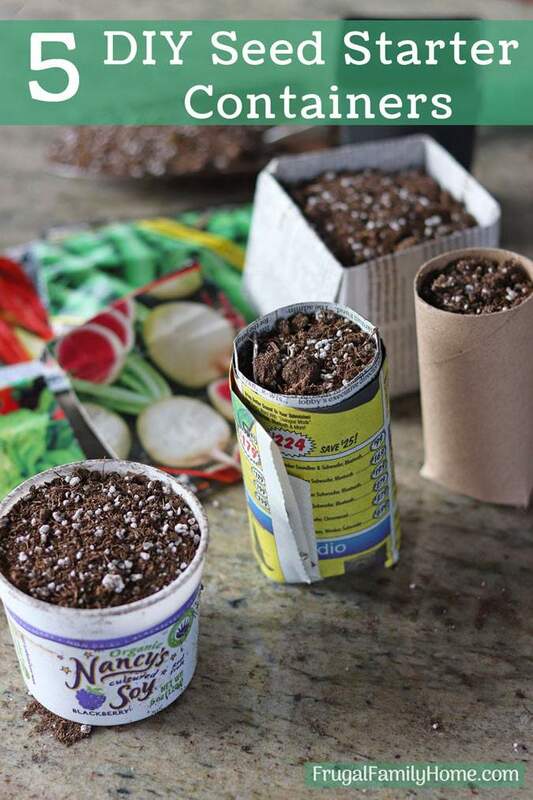 If you don’t eat enough yogurt to have enough containers for your seedlings, try making your plant pots out of newspaper. It’s easy to do with a sheet of newspaper, a round cylinder to wrap it around and a jar just slightly smaller than the cylinder. I’ve found starting with a square piece of newspaper works best. Fold it into thirds and roll up. Press the bottom into the open end of the cylinder. Remove the cylinder and press with the other end of the cylinder to compact the bottom to hold its shape inside the jar. See how to make the round newspaper pots in the video below. If you have egg cartons from the store, you can plant your seeds in those. I’ve found that keeping the egg cartons closed and cutting off the top center works well for planting. By keeping the top on you get a deeper planting bed and the seedlings can stay in the container longer. This works best with a closed top egg carton. You can make them out of the open top cartons too but you won’t have a flap to close again until the seeds sprout. To help keep the moisture in. Instead, slide the egg carton into a plastic bag and twist shut until the seedlings sprout to hold in moisture. I’m not too good at origami but I made these square homemade plant pots out of newspaper. The newspaper we get isn’t the standard size, it more like an oversized magazine format. I found by cutting the paper into a square before beginning the process yielded a nice size square container to plant in. When I started with a rectangle shaped piece of newspaper, I got an odd shallow square pot to plant in. Not ideal at all. Maybe it was something I did wrong the first time. I think using a square piece of newspaper works better. I show the full process in the video below as the folding is too hard to explain in words, at least for me. 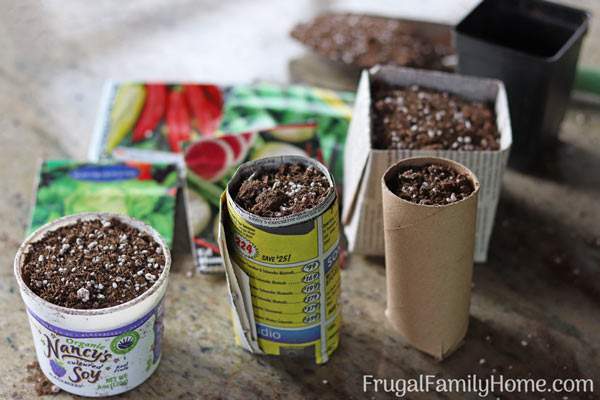 Finally, if you don’t have a newspaper, egg cartons, or plastic containers around to used to start seeds, give toilet paper tubes a try. They are easy to shape into seed starting containers. They are the perfect size for one seed. There is no rolling or shaping involved. And no messy newsprint ink on your hands. But you will have to think ahead to save them up to plant in. We always have some on hand since we make fire starters out of them for starting fires in our wood stove. So we had an ample supply to try. To make them you only need to cut slits up from the bottom in three places and then fold those strips into the center to make the bottom. It’s easy to do. The kids can help. But there is one drawback. If you don’t get the ends folded in evenly, they can tip easily. Which won’t be a problem once they are wedged into a tray to hold them together. But you might need help to hold them until you have a row situated. Here’s a quick video to show you how to make plant pots from toilet paper tubes if you’d like to see it done. One last note, with these options you can plant the seedling directly into the garden in the homemade pots, all except the yogurt containers. You also must cut apart the egg carton if you want to leave them in the container and plant them. But I remove my plants from the containers. Yes, the containers will rot but they can confine the roots until they do. So being safe, I remove the seedlings from the containers and then plant. That’s how you can make plant pots at home with items you already have. You need not purchase pots to start seeds in. Instead, save money by making them yourself. What do you plan to grow in your garden this year? Need a Garden Planner? 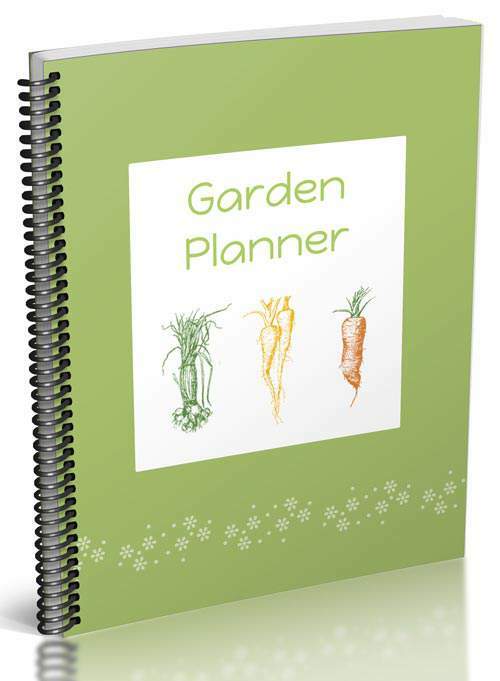 This printable garden planner is the one I use to track and plan my garden each year. I love that it’s printable and editable so it can be used year after year. See more about the planner. I love this idea for starting off your new garden…it’s such a good way to save a little money!